According to the U.S. Bureau of Labor Statistics (BLS), the median yearly salary for California CNAs is $29,400 or $13.42 an hour. San Francisco’s CNAs may earn slightly less or more depending on a number of factors. Common factors that will determine your salary include your education, experience, cost of living and the type of industry you choose to work in (private clinics, hospitals, nursing homes, or home health agencies). In general, though, more than 10 percent of CNAs within this city, earned an average salary of $35,000 or higher in 2012. If you’re considering a career as a certified nurse aide, it pays to do some research on the salary and availability of jobs in your local area. Also, you need to complete at least 160 hours of California Department of Health accredited training before challenging the PearsonVue-administered state certification exam. Prospective employers will verify your status on the nurse aide registry before hiring you to provide direct patient care. 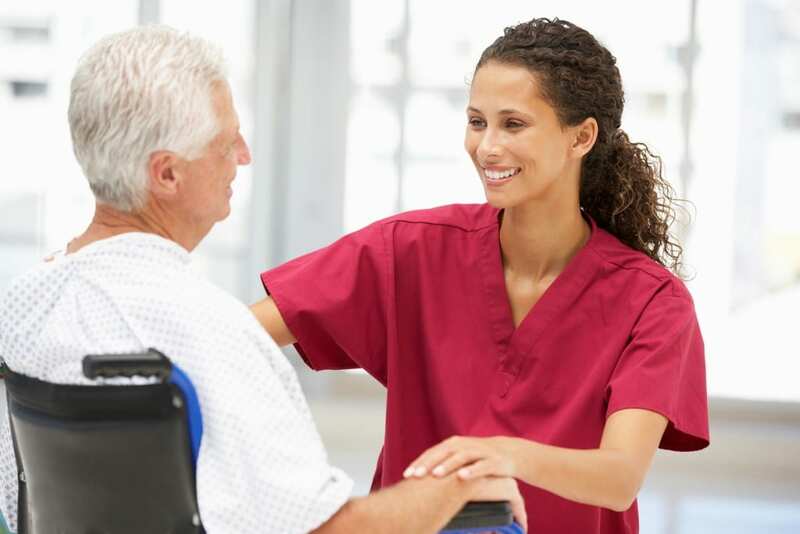 The 4-week long nurse aide training class at American Care Quest comprises of 50 hours of classroom instruction and 100 hours of supervised clinical practicum at an approved nursing facility. Applicants must be at least 16 years old, complete a Live scan and TB screening, and have a clean criminal record. A high school diploma is not necessary. However, the school may issue an admission reading comprehension and math exam to determine your eligibility for the course. Instructors are skilled nurses and physicians who bring a wealth of experience to the classroom setting. They assist students with exam preparation, so graduates are well prepped for success. Tuition is an affordable $1,200 inclusive of registration fees. Students can make payments in four easy installments of $175. The intensive but short-term nurse aide training classes at City College of San Francisco prepares students for the state certification exam. At the end of the training, graduates earn certificates in acute care, home health aide, and convalescent care. Applicants must attend the mandatory orientation session before the classes commence. Applicants must also be at least 18 years, possess CPR certification, and have up-to-date immunizations. Tuition is $46 per semester unit for California residents and $211 for non-residents –total semester credits for the program is 12. Students must purchase uniforms, textbooks, and pay for a physical exam, TB test and fingerprinting. The class is eligible for college credit. The nurse aide class at Oxman College prepares students to provide caring, safe and effective direct care services to patients at long-term care facilities and hospitals. The state-approved curriculum covers 150 hours of training, including 50 hours of theory and 100 hours of supervised hands-on work in a clinical setting. Course topics include body mechanics, nutrition, vital signs, resident care, patient care procedures, weights and measures, medical terminology, promoting resident rights, and emergency procedures. Tuition is $2000 plus costs of textbook and supplies. Federal financial aid is not available. However, unemployed or low-income students can may qualify for assistance through One-Stop Centers. The State approved nursing assistant certificate program at California Nurses Institute prepares students for state certification. Graduates receive a Certificate of Completion and are eligible to sit the state exam administered by the American Red Cross. The open enrollment system allows for easy sign-up. Interested persons must obtain TB clearance, provide documentation of immunization, and undergo a Live Scan fingerprinting. Flexible day, evening, and weekend schedules are available. Courses are offered in English or Spanish. North Bay CNA Training Program is approved by California State. Qualified instructors prepare students with the knowledge, skills, and experience to become a certified nursing assistant to care for residents or patients in long-term care facilities, hospitals, and home health care. The 25-day program includes 50 hours of theory and 100 hours of clinical experience. Students must attend all lab, clinical, and classroom sessions. Part-time students complete the program in 44 days. A weekend schedule is also weekend, and the completion time is 11 weeks. Course topics include basic nursing skills, communication, infection control, emergency and safety responses, personal hygiene, nutrition, vital signs, observation and reporting, hospice care, mental health issues, and rehabilitation and restorative techniques. The curriculum also includes one mock testing day and one makeup day for students who miss no more than 8 hours in the program. At the conclusion of the program, North Bay CNA will make arrangements for graduates to take the competency exam for state certification. How Can I Become A CNA If I Have Felony Convictions? Copyright CNAClassesNearYou.com. All rights reserved.